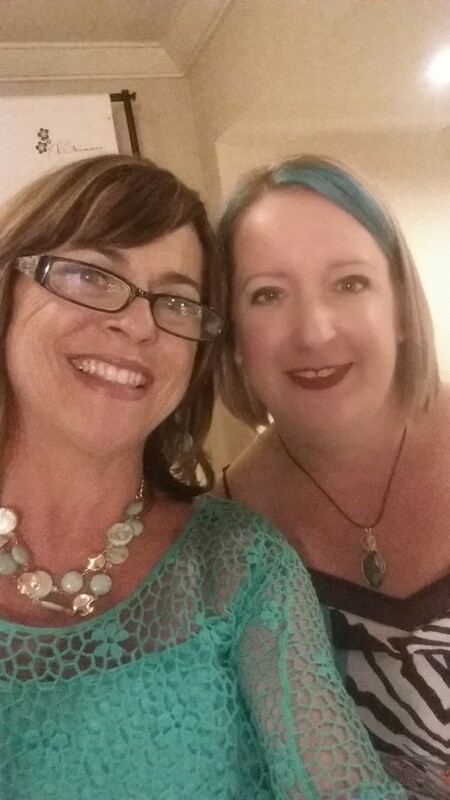 When I was at Cosmoprof North America recently, I met the folks behind Nordic Care. Nordic Care is a family owned and operated skin care company from Sweden who specializes in hand, foot and body care formulated with an exclusive blend of herbal extracts, along with moisturizing vitamins and natural botanical oils. I was given sample of the hand cream, foot cream and a sample of the new Night Time Foot Oil! I have to say the only product I have seriously tried is the Night Time Foot Oil (I promise I will try the others asap) but this in now my new favorite product. The scent alone is incredible but here is the kicker. The product actually does what it says it does. Here is a quote from Marketing & Sales Director, Michael at Nordic Care. Nordic Care is proud to introduce their newest product to help combat dry and cracked skin. 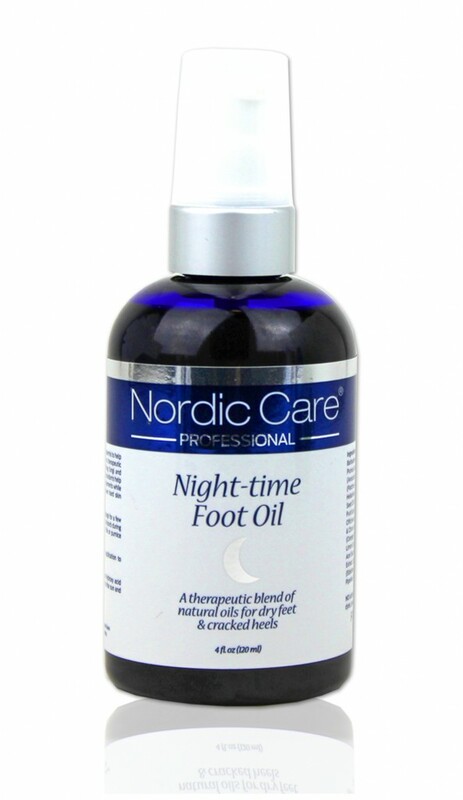 Nordic Care Night-time Foot Oil is developed using a combination of 100% natural oils and fruit acids that are high in antioxidants, anti-inflammatory and cell-rejuvenating properties. Coconut, Avocado and Olive Oil with its large contains of Vitamin-E and Phytosterols, moisturizes, softens and protects the skin from damaging environmental elements. I honestly believe it is the Swedish botanicals that make Nordic Care such a great product! With 15 years in the industry, the Nordic Care family feels so confident in their products that they offer 100% satisfaction guarantee! You can’t beat that! Learning from a Russian Master in LA! 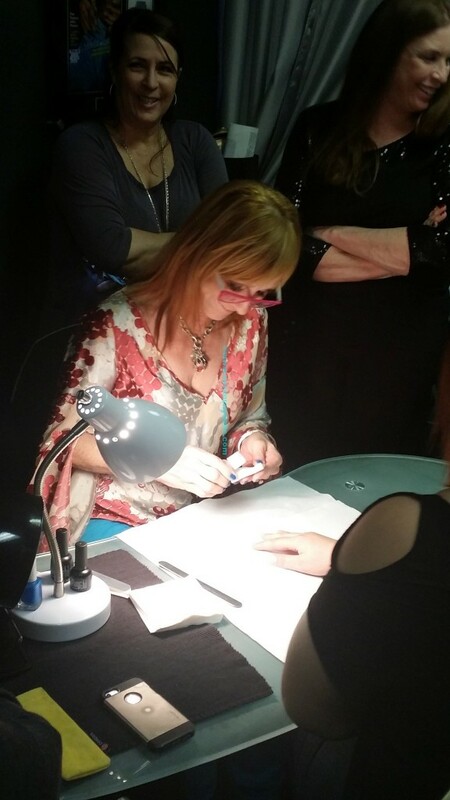 I am a firm believer in keeping on top of what is going on in the nail world, so when I got the chance to sign up for this class, I grabbed it. 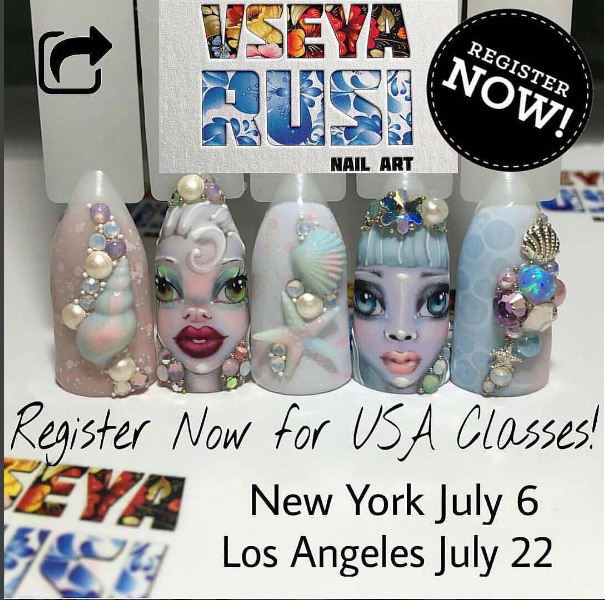 I am super excited to learn about the Russian manicure technique that is being spot lighted recently, and am looking forward to learning about the techniques she will show us to do these fantastical creatures!!!! •portrait painting technique by Kashlyaeva Tatiana. LA here were come! Yup, me and Stephanie from Lake Havasu!! I received this lovely package from KB Shimmer while attending the bloggers event that Katie Cazorla and Nail Pro/NailIt hosted during Cosmoprof NA in Las Vegas. 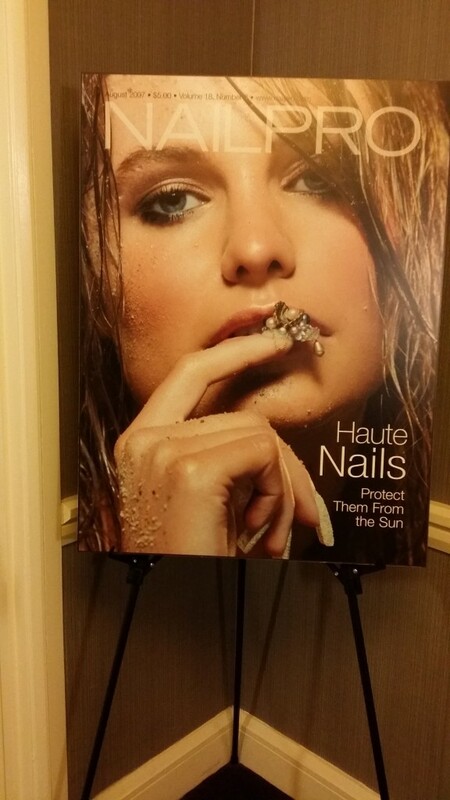 Nail Pro along with Katie Cazorla held a blogger event at Cosmoprof NA this year. Although I know it is still August, I have to share this little tib bit that made me feel like Christmas was here early. 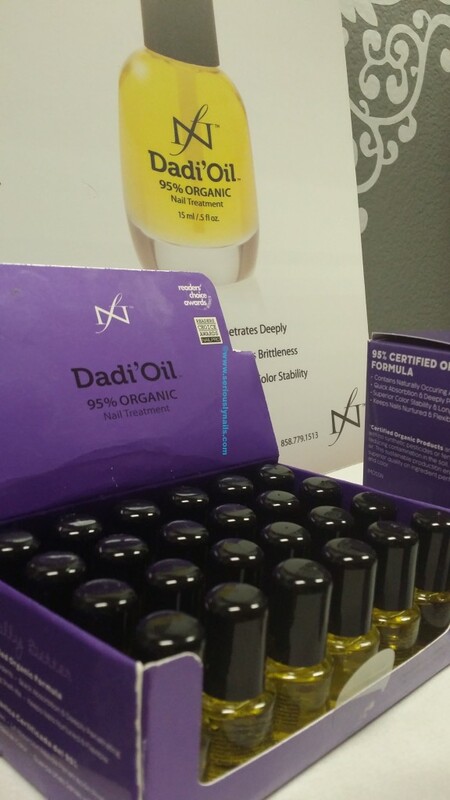 Part of the package contained this WONDERFUL smelling cuticle oil. It really does smell like Chai Tea. The bonus is that the scent stayed with me for a good couple of hours. The pen that it comes is has a soft brush (I’m not sure what it is made of) and on the other end is a dial that you turn to push the cuticle oil up to the brush. You have good control over how much comes out that way! 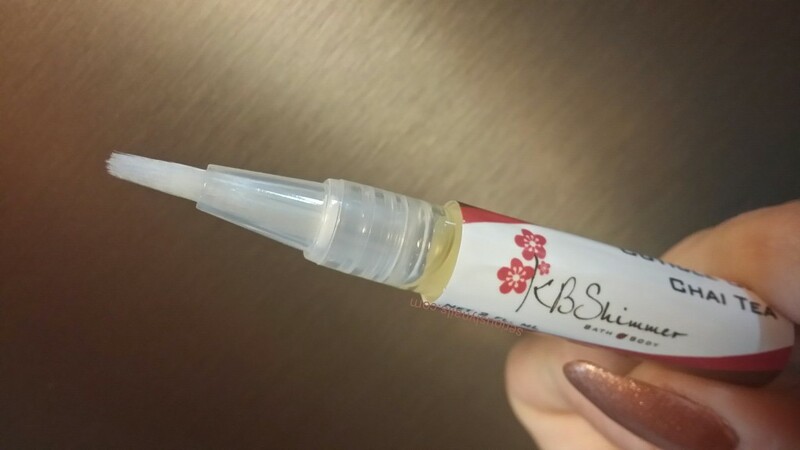 Plus it is perfect for your purse, especially while travelling! The oil is has a creamy texture to it which is nice. No oil slick here! 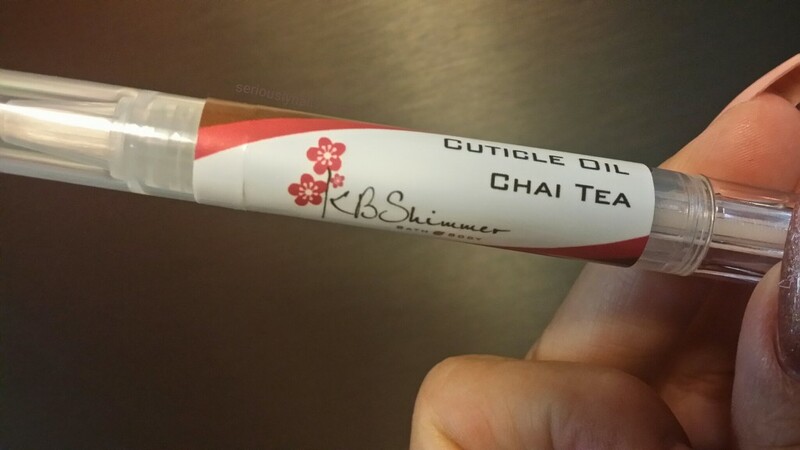 So, if you are one of those folks that loves Christmas and all the delicious scents that surround it, you definitely need to go to https://www.kbshimmer.com/ to make sure you get some for yourself. You will also find her fabulous nail polish, and just new to me, Mani Shots! I have to find out more info on those things for sure. I wanted to thank Christy for the lovely gift package. I will continue to blog about the other gifts inside. After three years in the perfect location with a gorgeous store front and tons of walk by traffic, Va-Va Varnish is moving their space. 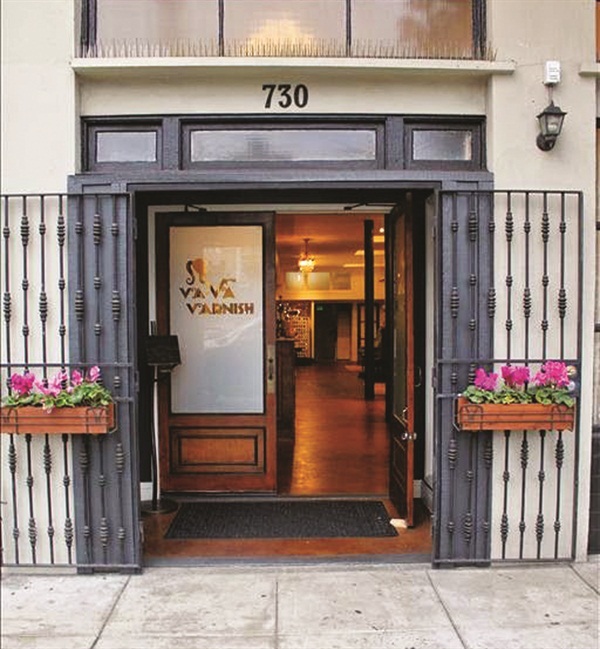 The move from 730 Market Street, San Diego is giving Va Va Varnish a chance to create an even more private and personalized service area where customers can still enjoy the vintage vibe of the old location. 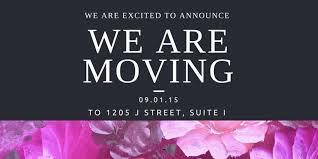 The new location at 1205 J Street, Suite I in San Diego CA is less than a mile away from the original location. The new studio will grant roughly 1200 square feet of space to service their clientele but with a much cozier boutique style layout. 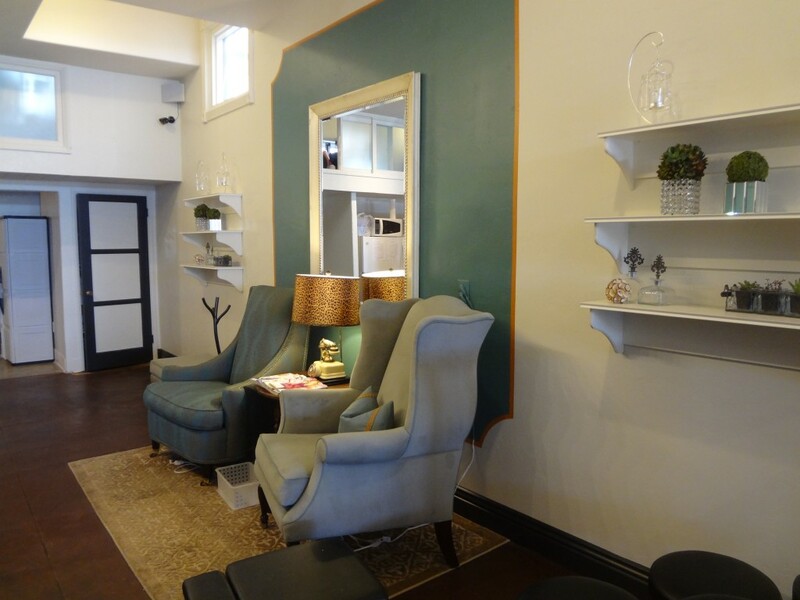 The new studio has 4 mani/pedi stations as well as 5 nail enhancement stations. 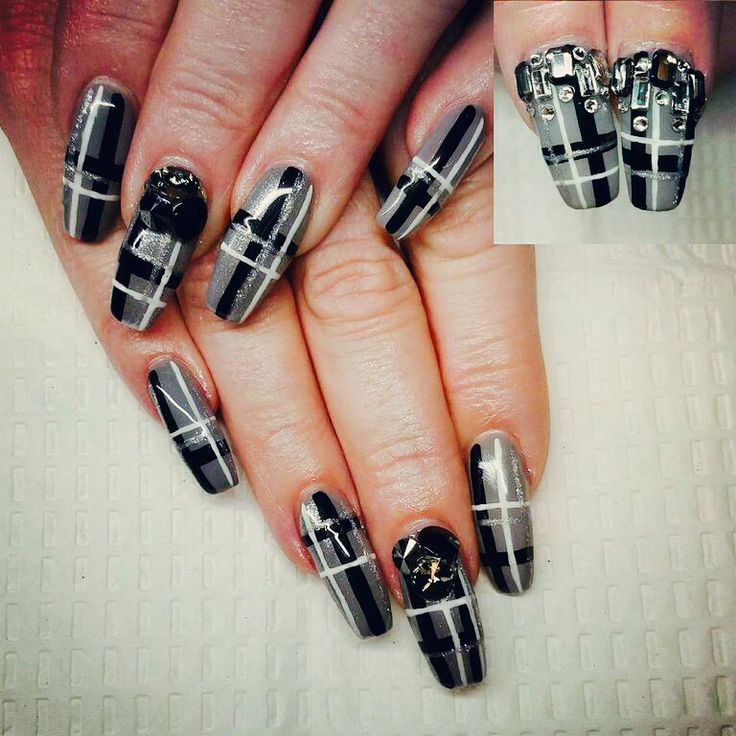 With a large portion of their clientele in love with the gel services which largely include nail art, the new location has more focus on those services. 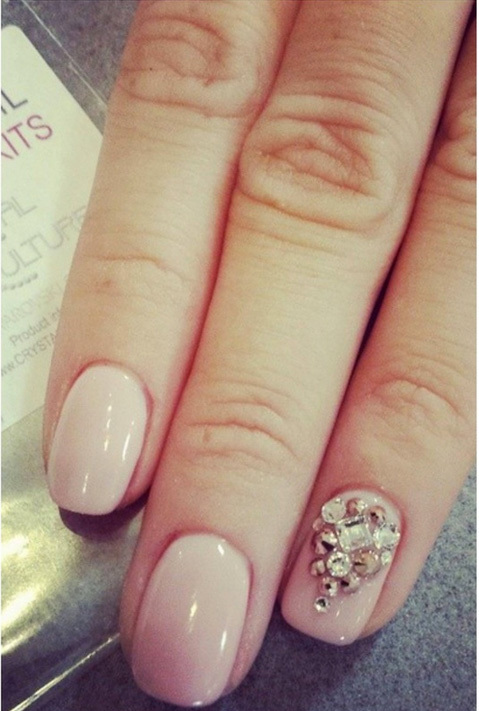 You can find nail art services ranging from simple polka dots to intricate Swarovski Crystal designs at Va-Va Varnish! All services are performed by highly trained stylists. I have met with Elizabeth and know first hand her passion for professionalism and correct procedures. So feel at ease knowing you will be taken care of by well trained stylists. It’s about making you feel beautiful, cared for, and special on the inside and the out. 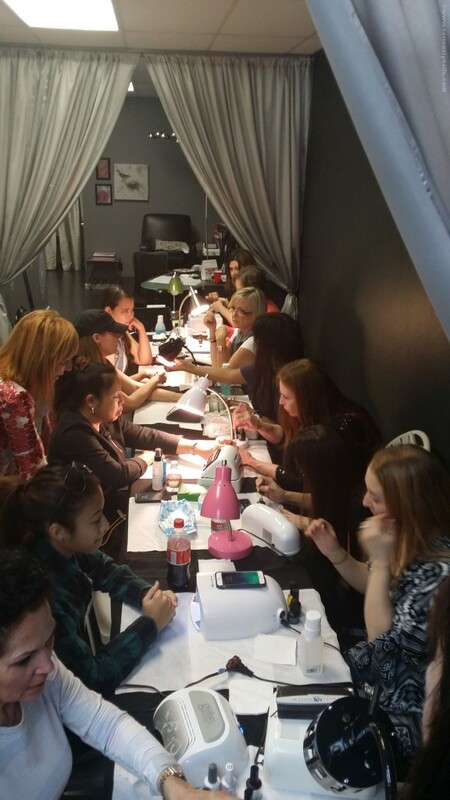 You will get 100% undivided attention and a custom relationship with your personalized nail guru! should leave you knowing your are in the best of hands. With a comprehensive description of each service on Va-Va Varnish’s menu, you will fully understand what services you are receiving for your money. With the intense drought conditions in California , Va-Va Varnish is going waterless. By performing waterless services (which can actually hinder the retention of gel services!) they are creating the perfect canvas for gel services as well as doing their part in the water conservation effort. Thank you Va-Va Varnish! You can expect to find high quality products like Swarovski Crystals as well as the innovative nail conditioning service IBX. 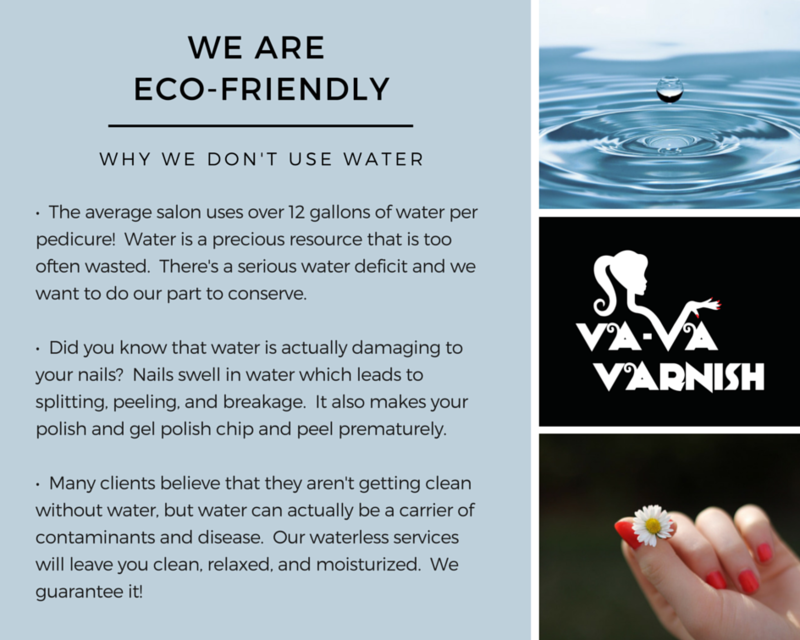 In a nut shell, Va-Va Varnish’s employees are highly trained, creative and passionate nail stylist performing services in a cozy, sanitary (not sterile) boutique environment. 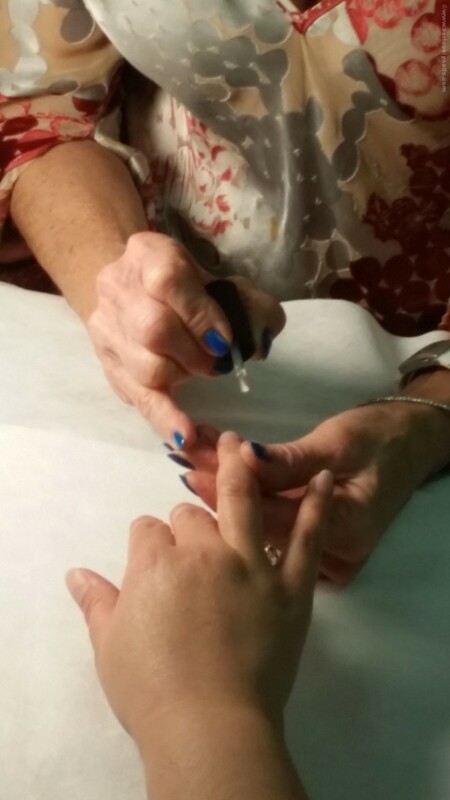 Elizabeth’s belief in continuing education, proper and complete sanitization and working with creative, caring stylists has created a unique and comfortable place to make both you and your nails happy! Elizabeth promised me some pictures of the new digs after they get all moved in, so look for those in a up coming post! IBX Certification Course! Las Vegas! Last Tuesday I was invited to attend the IBX Certification course held here in Las Vegas. 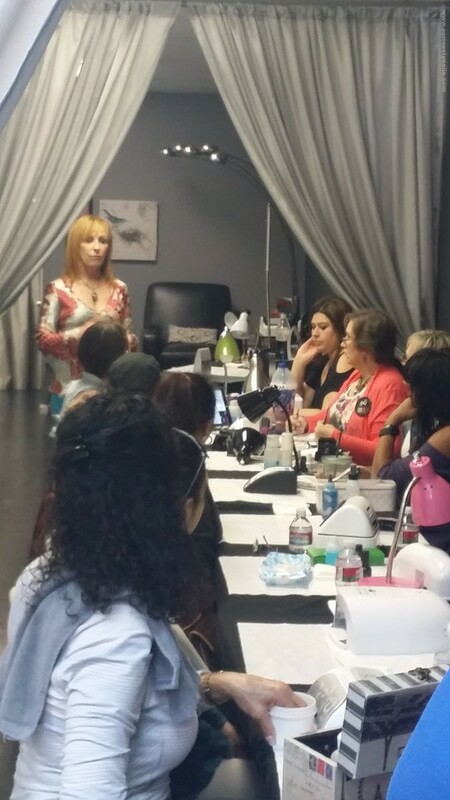 The class of 12 gathered at Herra Beauty for the three hour class. 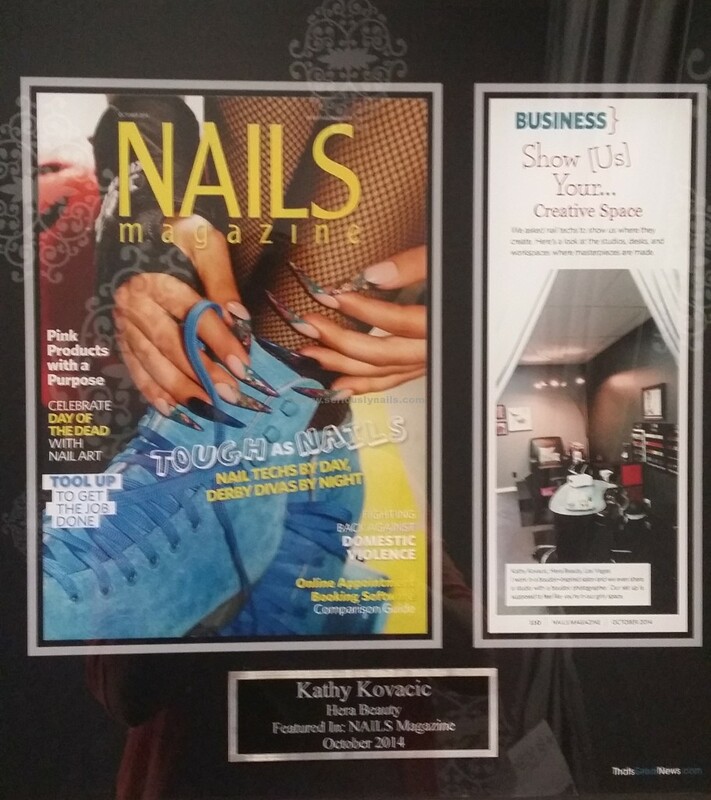 You may have seen the owner, Kathy Kovacic, in Nails Magazine in the Business Section! Taught by Co-Founder of Famous Names, Linda Nordstrom, the class learned a little of the history of Famous Names. 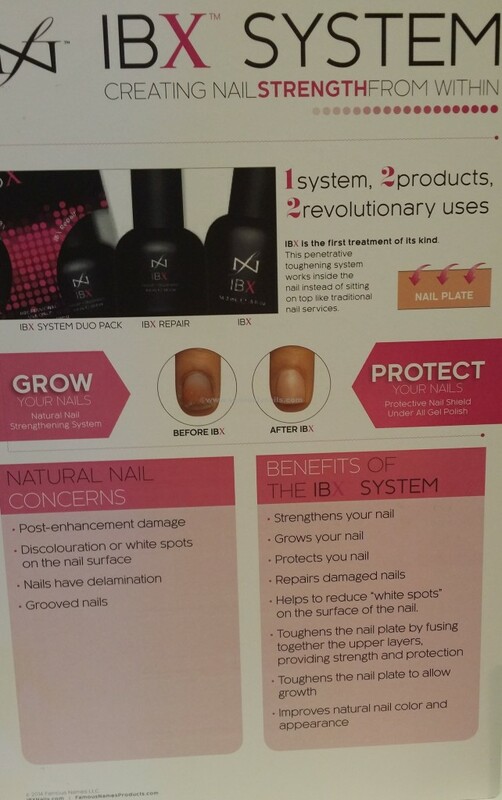 Linda also shared what IBX and IBX Repair are and how they work in the natural nail. IBX is a nail strengthener while Repair is exactly that. It repairs damage to natural nails. 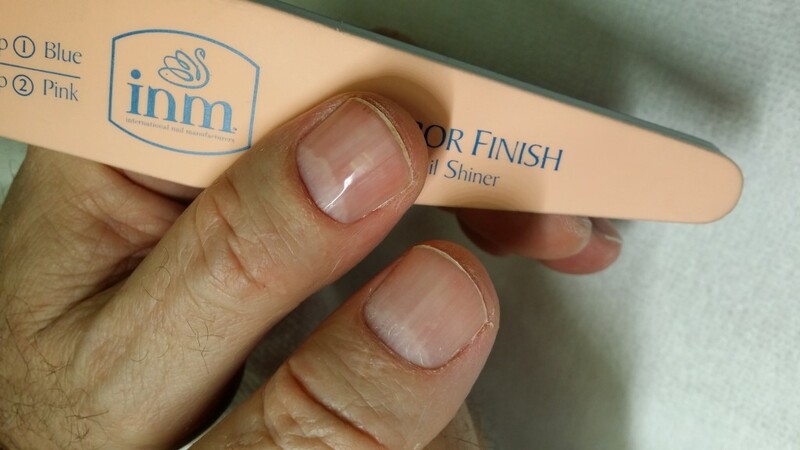 Both products work IN the nail as opposed to on top of the nail. The product penetrates the nail plate and bonds to itself. This is the reason that both IBX products work so well. And why they don’t make the nail brittle. That plus the fact that there is avocado and jojoba oils in the products that help nourish the nail plate. IBX is the perfect solution for customers who love gel manicures but hate the effects of the removal. IBX gives you added ‘flexible strength’ from within the keep your nails in perfect condition under your gel manicures. 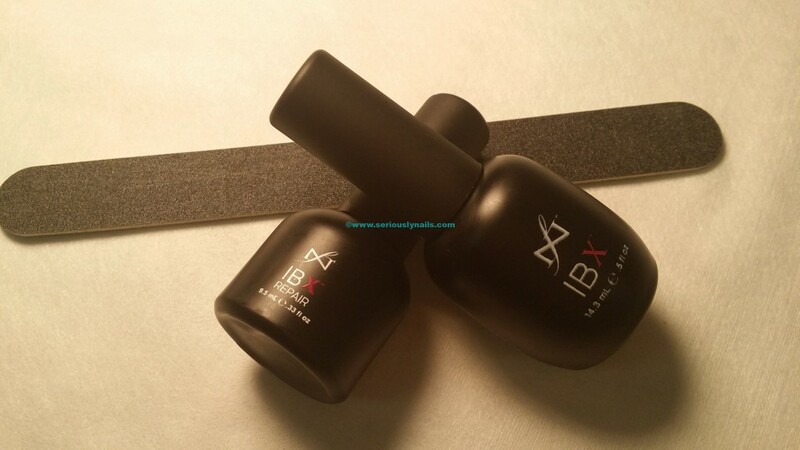 IBX Repair will help you heal the damages from over enthusiastic removal of gel manicures! As well as repairing the effects from every day ravages to your lovely digits. Then Linda gave a very good demo on how to correctly apply IBX and IBX Repair. Like most high quality products, the system is designed to be used sparingly. Then the class got to do hands on. I am a true believer in “hands on”. It’s always very easy to watch someone and understand how something works. For me, as soon as I go to do the same thing, I inevitably forget how to do it. That’s why I like a hands on class so much. Plus then the teacher can help explain nuances of the product, and the application system. There was a little knowledge exam at the end of the class and every one aced it! Certificates were awarded and then a good amount of networking happened with the girls finding many things in common. I am grateful to have been able to attend the class. I learned a lot about IBX and IBX Repair, as well as the features and the benefits of using this great product. 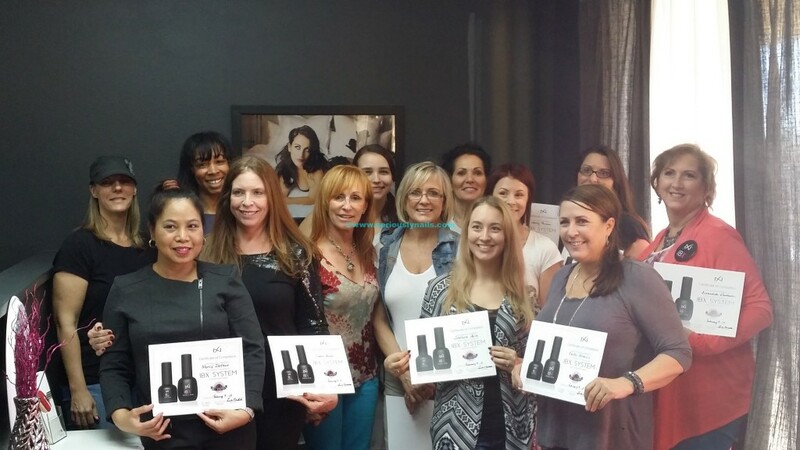 One more great of taking this IBX Certification class is that these fine folks are now listed as IBX Salons. So folks who want to enjoy the benefits of this system will be able to find them easier. Look for the window decal in authorized salons. 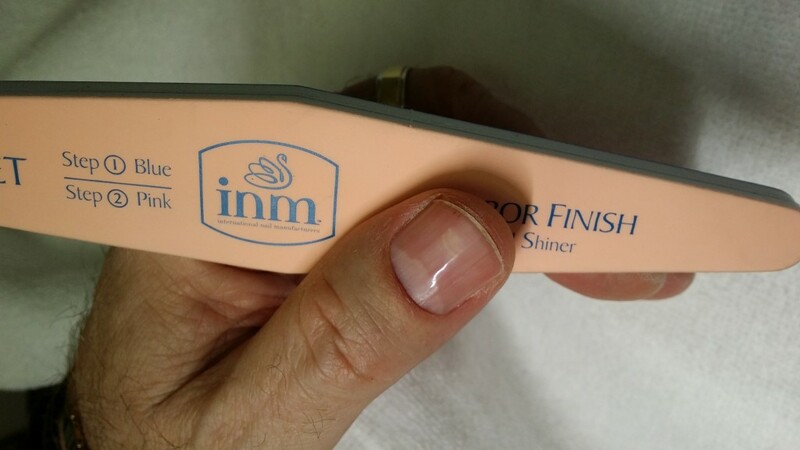 Certified Nail Techs can purchase IBX online at http://www.famousnamesproducts.com/Shop/IBX or find distributors. My husband asked me to do his nails for him, so of course I said yes! It is such a funny thing that something so simple can make you feel so good. I gave him a simple dry manicure (he was in a hurry) and a quick buff with INM File-Mirror Finish! Such a simple thing to do for your clients or loved ones! Buff with the blue side first. He keeps looking at them!